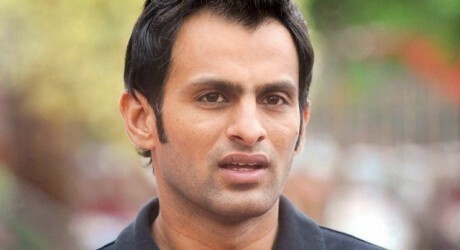 Lahore, Shoaib Malik is the leading and aggressive cricketer and all rounder of Pakistani cricket team. He has shown wonderful performance in various matches and led Pakistani team to the victory stand. Now he has shown his desire to carry on his international career. 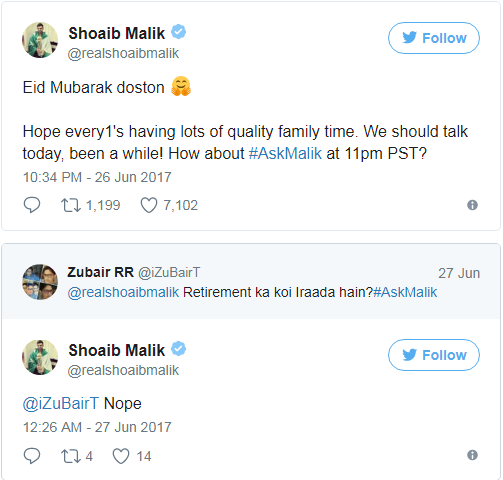 He contacted with the friends and his fans on the social media website, Twitter and asked them to ask any question from him. 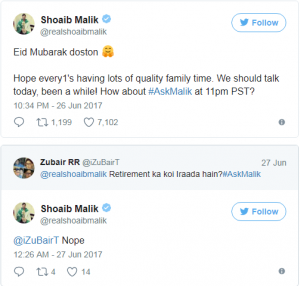 One of his fans asked question whether he is intended to get retirement from international cricket. Then he replied that he did not want to get retirement but he wanted to carry on his international career. He is not thinking about getting retirement from the cricket and he wants to play more for the country. He played about all of the matches in the ICC Champions Trophy 2017 but he could not impress by his wonderful performance but he insisted his fellow cricketers to show leading and improved batting and bowling in the remaining matches in his passionate speech after losing first match against India. When Pakistan won the final match of ICC Champions Trophy against India, it was said that it was due to his passionate speech, which he delivered in the players meeting.